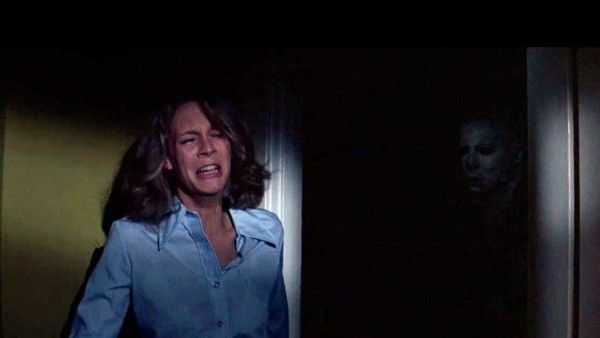 With 11 films and counting, Halloween remains one of the most prolific and popular horror series of all time—but it was nearly upended before it even found its footing as a long-running franchise. John Carpenter’s 1978 horror film Halloween was a monster hit, becoming one of the most profitable independent films ever made with a worldwide gross of $70 million against a budget of just a few hundred thousand dollars. Given its success, a sequel was quickly greenlit, and 1981’s popular Halloween II proved that this was indeed a new, viable horror series. But for the third outing, producers John Carpenter and Debra Hill took an ambitious left turn. The resulting Halloween III: Season of the Witch—which has since gained a cult following and remains one of the most interesting films in the series—was not just a disappointment at the box office, it was savaged by critics and fans alike. The performance was so poor that the iconic franchise nearly came to an end right then and there. When Carpenter and Hill signed on to make Halloween, they did so with the intention of crafting a spooky horror film about a psychotic killer that stalked babysitters. They had no idea they’d be birthing one of the most memorable horror films in history, but the film’s success spurred producer Irwin Yablans—who hired Carpenter to make the first Halloween—to get a sequel going. Carpenter and Hill wrote the screenplay for Halloween II and Rick Rosenthal directed, though Carpenter would later admit he didn’t have much story left to tell—which is why he and Hill came up with the “twist” that Michael Myers was really Laurie’s brother. While Halloween II was a box office success, scoring $25.5 million at the domestic box office against a budget of just $2.5 million, the story of Laurie and Michael had come to an end. 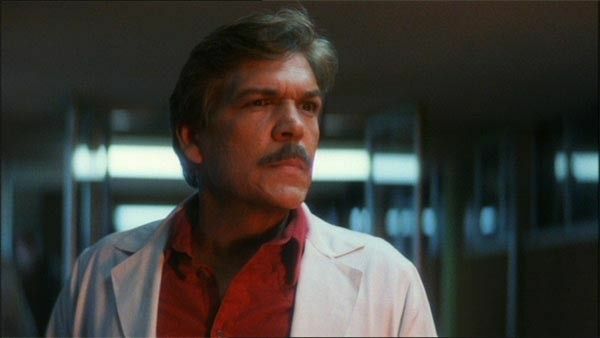 Carpenter and Hill had crafted a follow-up that picked up directly after the events of Halloween, with Michael now terrorizing the hospital at which Laurie was recovering. But by the film’s closing moments, Michael has literally gone up in flames. When Carpenter and Hill were approached about making yet another Halloween film, they agreed but only on one condition: no Michael Myers. Instead, Hill had the idea to create a series of different anthology films under the Halloween banner. The idea was to make a new film set during the titular holiday each time out, and if that film and its standalone story was a success, it could spawn its own sequels. But as far as Carpenter and Hill were concerned, Michael Myers was dead. So began development on Halloween III: Season of the Witch. 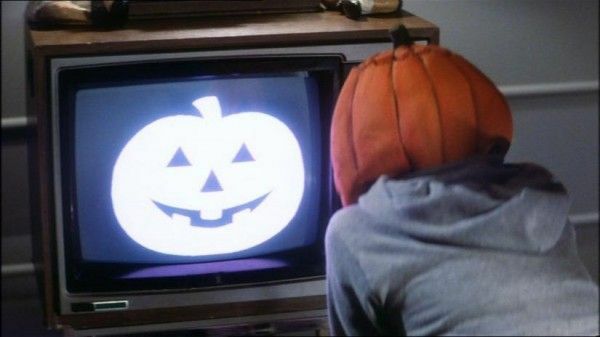 Hill, who was instrumental in crafting the first two Halloween movies, appears to have taken point on the story of Halloween III, coming up with a plot that was basically witchcraft meets the computer age according to director Tommy Lee Wallace. Wallace, who worked on the first Halloween as both production designer and editor, was initially offered the chance to direct Halloween II but turned it down as he wasn’t a fan of the direction the story was taking. He was intrigued, however, by this anthology idea for Halloween III, and so he agreed to take the helm. The Michael Myers-less story that they hit upon follows a conspiracy run by a company called Silver Shamrock, which is attempting to use the mystic powers of the Stonehenge rocks to resurrect the ancient aspects of the Celtic festival Samhain. They aim to do this by airing a special commercial on Halloween night which, when viewed wearing Silver Shamrock’s special Halloween masks, provides terrifying results. There’s no serial killer on the loose, no Laurie Strode, and in fact no direct references to the events of the first two Halloween films to be found. Season of the Witch was crafted as a true standalone horror film in the “pod movie” genre, and taken as its own thing is a fun, creepy watch. But if you went into the movie expecting the continuing story of Michael Myers, it’s easy to see why you’d be upset. Indeed, this was one of the major failures of Season of the Witch, as Wallace admits that no one involved in the film went out of their way to explain to audiences just how different this movie would be from the previous Halloween films. As a result, critics and fans alike revolted when the movie hit theaters in 1982. They spent the entire film waiting for Michael Myers to show up, and instead got bugs crawling out of young childrens’ heads. The film received negative reviews, and still stands as one of the lowest-grossing Halloween films in franchise history with $14 million. While Season of the Witch was released just one year after Halloween II, the reception to Halloween III forced producers to regroup and hit pause on any future plans. And, of course, the prospect of continuing on with this franchise format was dead on arrival. Carpenter and Hill were approached a few years later about course-correcting the series with Halloween 4, but creative differences with executive producer Moustapha Akkad—who insisted that Michael Myers return in flesh and blood—led to them selling off their interest in the franchise. Halloween III was the final Halloween movie that Carpenter and Hill produced together. Akkad took the series into a more predictable lane with 1988’s Halloween 4: The Return of Michael Myers, which doubled down on the familial connection to Michael Myers and found the killer going after his niece, Jamie. Halloween 4 received a mixed response from critics and only fared a bit better than Halloween III at the box office with a $17 million gross, but Akkad forged ahead, releasing the very silly Halloween 5: The Revenge of Michael Myers just one year later to even lower box office.